The Animal Welfare Society is proud to be a progressive animal shelter. Each year, we receive and care for more than 3,600 pets in need of new homes. Every animal in our care receives professional, loving and humane care. This includes proper housing, a healthy diet, veterinary care and a big dose of kindness. We also provide grooming, dog obedience and socialization, as needed. Animals come to the shelter in a variety of ways. AWS contracts with 21 municipalities to accept their stray animals. Animal Control Officers from these towns have 24-hour access to our facility. Stray animals are held for the state-mandated hold times, and every effort is made to reunite the animal with its owner. Public reports of lost and found animals are kept on file and regularly referenced. If your municipality is not on this list, call your town hall or police department to see which animal shelter or agency your town has contracted. Stray dogs have a state-mandated hold requirement of six days before becoming eligible for adoption. Stray cats have a state-mandated hold requirement of 48 hours before becoming eligible for adoption. The Animal Welfare Society encourages and supports you, should you need to find a new home for your pet. Working together, we will try to help you to find a solution to re-homing your pet(s) before considering admission to AWS. We are happy to offer a full array of dog training classes to the public and may be able to offer support over the phone by providing suggestions and/or resources. Pets that can be re-homed by their current owners ensures that valuable resources and kennel spaces at the shelter are reserved for at-risk and in-need animals with no owner. 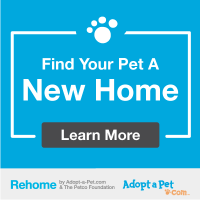 Brought to you by Adopt-a-pet.com and the Petco Foundation, Rehome is a web-based app that helps owners find their pet a new home. If you need to admit a pet: If other re-homing options aren’t suitable for your situation, we ask that you call in advance to schedule an admission appointment. Making an appointment allows us to plan for the best care and support for you and your pet and to maximize available resources. Immediate admission is available for pets in emergency situations. We can be reached at (207) 985-3244. To assist AWS in providing the best services possible, we ask owners to make a financial contribution when they surrender a pet to our care. These contributions are critical and directly support our work serving the people and pets of our community. There is no set fee, and we ask owners to evaluate their budget and available resources and contribute as much as they can afford. 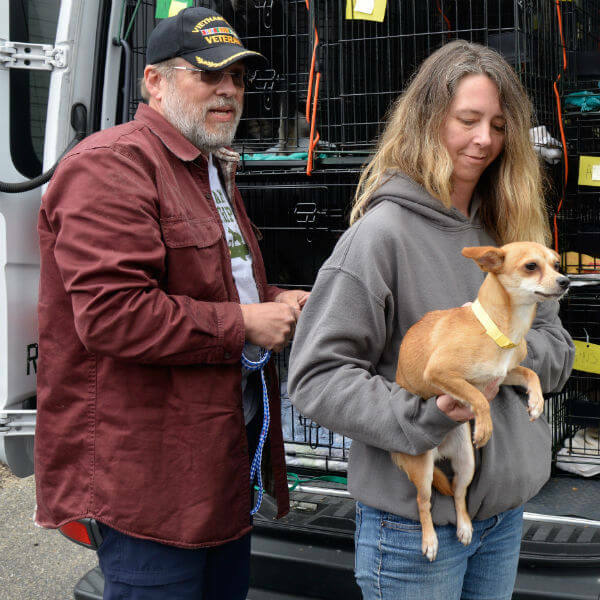 AWS works closely with state Animal Welfare Program officials and local animal control officers to provide care for animals confiscated due to neglect or abuse. We actively assist by providing care for the animals, and if necessary, sworn testimony on the animal’s condition to be used in court. When kennel space is available, we are proud to be able to admit pets from other shelters. We work collaboratively with our hard-working friends and partners in Maine and with our colleagues in other states, including NH, MA, IN, NC, CA, GA, NY, FL, MS, TX, NV, AL, and PR.